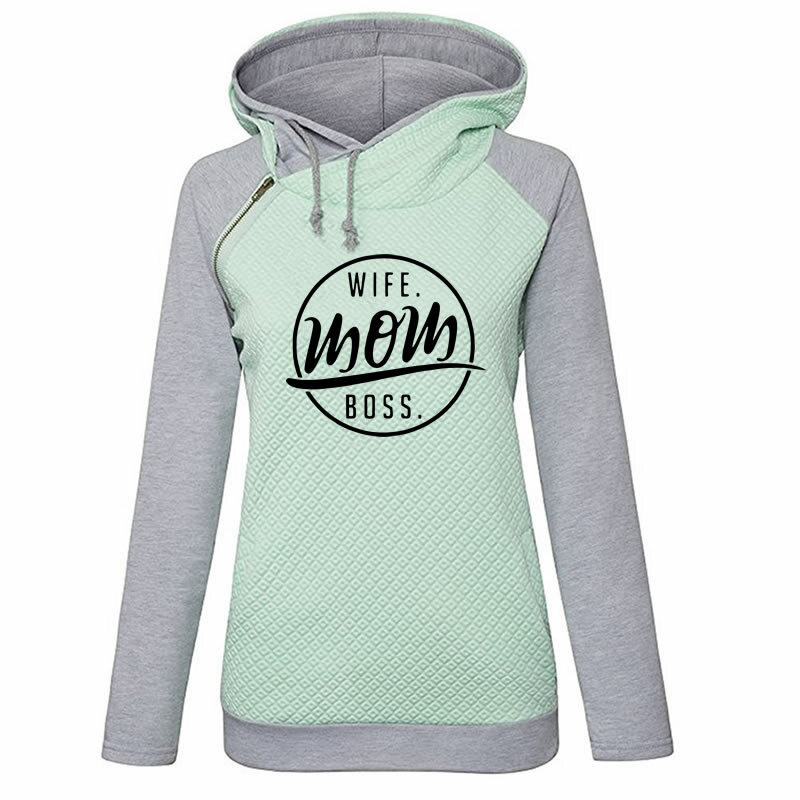 This letter printed hoodie looks trendy and quirky. 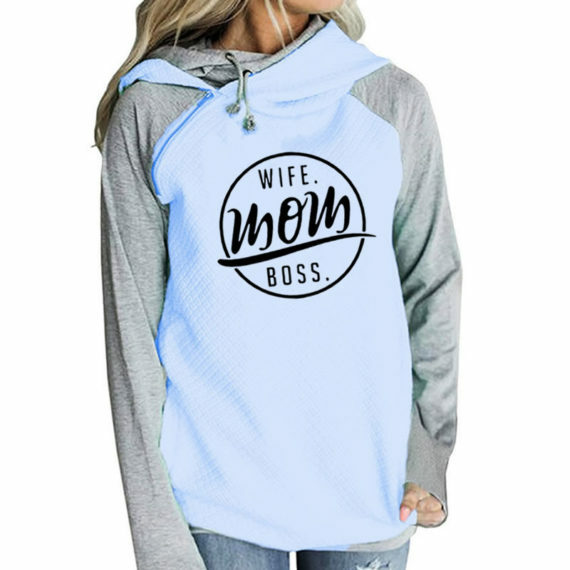 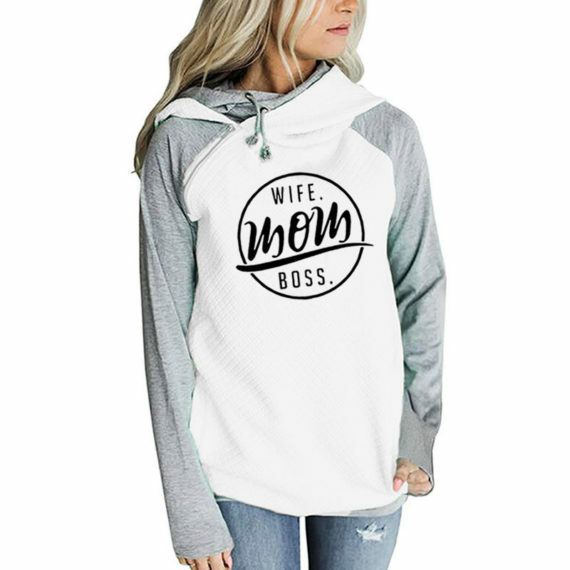 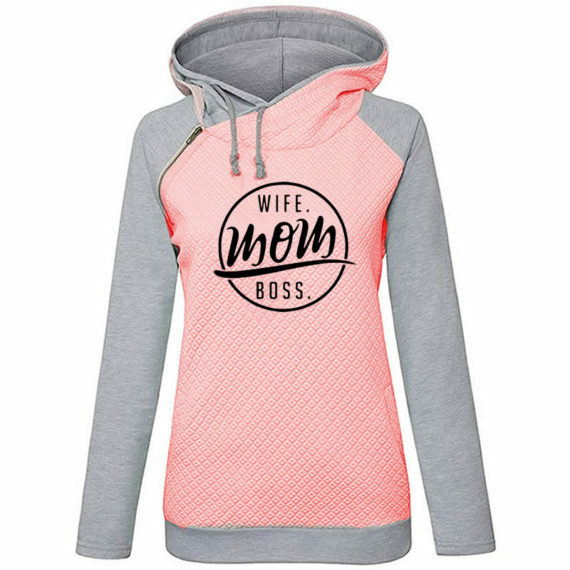 ‘Wife, mom and boss’ printed Hoodies are the new fab winter wear collection. 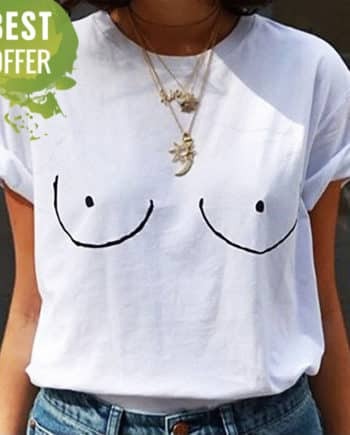 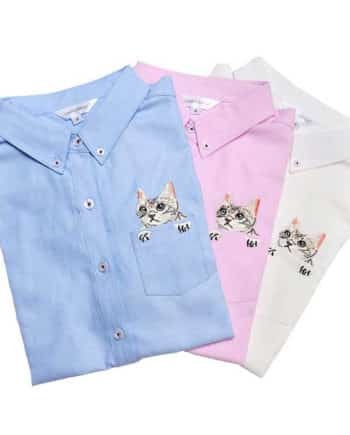 They are available in pink, white, blue and green colors. 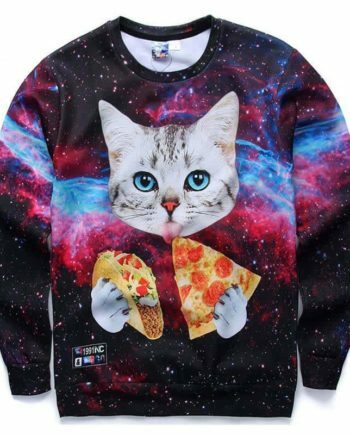 These hoodies will give a cool and swanky look to the person. 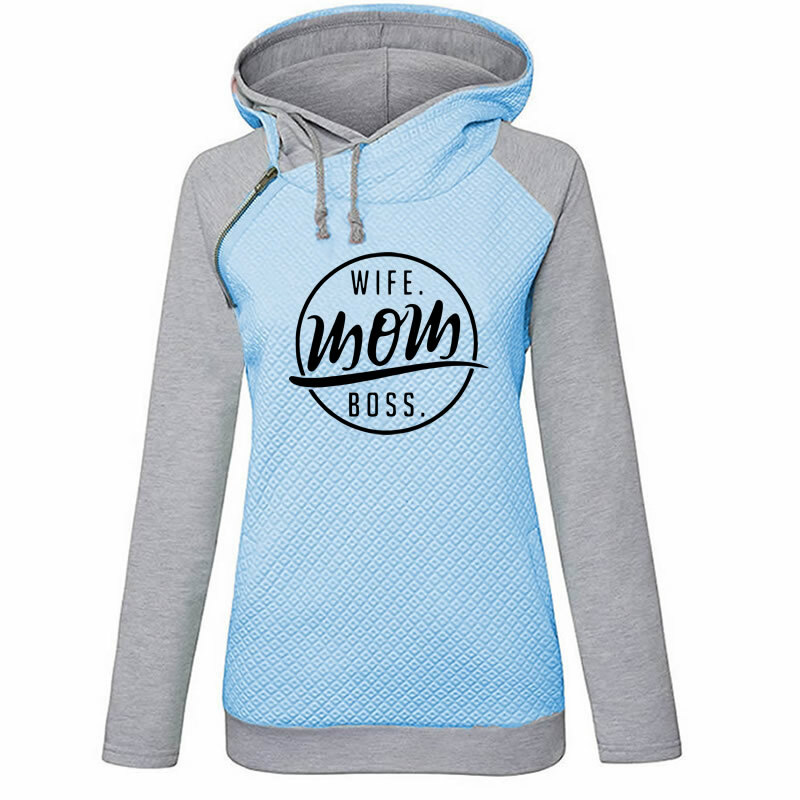 This winter wear can be worn casually to carry street style. It can also be a gifting option to give someone. 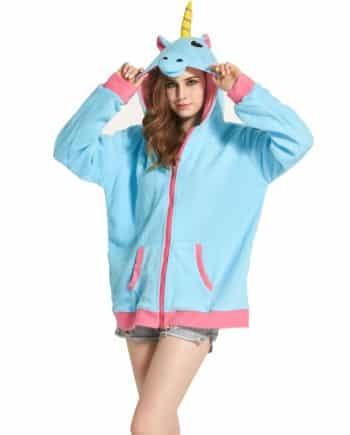 This is super cute. 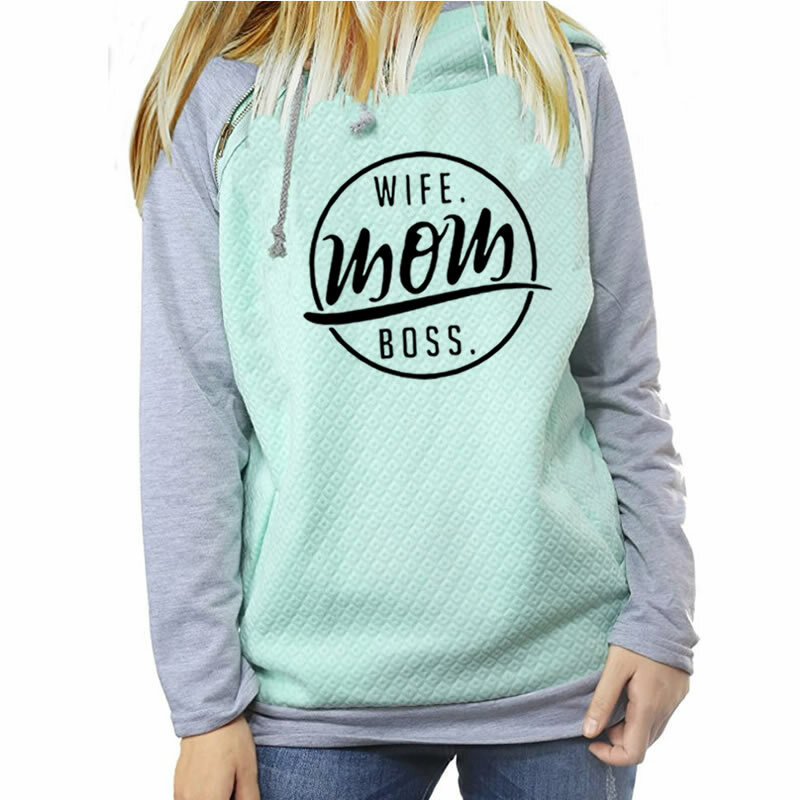 Runs a little small so order 1 to 2 sizes up depending on how you like the fit of your hoodies.